If you’re contemplating going into Christian ministry, you may be wondering about the difference between a pastor and a priest. Though the two terms are sometimes used synonymously, there are differences in how they are typically used and understood which may be helpful to know if you’re considering pursuing a role in Christian leadership. The word pastor, as you might guess, is related to the words “pastoral” and “pasture.” As a title for a Christian leader, it simply means someone who shepherds or guides a congregation, providing for their spiritual nurture. In this wider sense, anyone who serves as the leader of a congregation can be called a pastor. Since the late 1800s, the word has even been in use as a verb. For instance, a Christian minister could say that he or she “pastors” a congregation. When it’s used not just in this general sense, but as a specific title, it’s generally used in Protestant churches. The word priest has its origins in the Greek word presbyteros and the Latin word presbyter. It essentially means elder. It is typically used to describe a pastor or minister who serves in the Catholic or Greek Orthodox traditions. Anglicans, who have ties to both the historic catholic church and to reformed tradition, also use the word priest. A generally consistent way of looking at it is that a Christian leader tends to be called a priest if he or she serves in an historic Christian tradition that emphasizes liturgical worship, including an emphasis on the celebration of the Eucharist or Mass. It’s not quite as simple as saying Protestant Christian congregational leaders are called pastors and Anglican, Orthodox and Catholic ones are called priests, but that is part of the distinction. 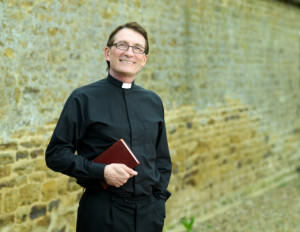 While a priest may be called a pastor, in the term’s general sense, most pastors are not called priests, according to Patheos. Priests in the Greek Orthodox and Roman Catholic traditions must be male. Catholic priests must be celibate, though Greek Orthodox priests can marry prior to ordination, and Anglican priests, who can be either male or female within the American branches of the tradition, may marry. Protestant pastors are not required to be celibate, but only some Protestant denominations ordain women as pastors. Much depends on a particular denomination’s history and practice. Educational requirements may also differ from denomination to denomination. Most long-established traditions, including the historical liturgical churches and mainline Protestant churches, require seminary training and a rigorous ordination process. Some smaller Protestant denominations, especially those based on a looser and less hierarchical structure, may not require seminary, though their candidates might be encouraged to attend Bible college. In some Protestant churches, you will also come across the term “lay pastor” which refers to someone who is not ordained but is serving a pastoral role in a congregation. Other differences between pastors and priests involve their prescribed duties and what they usually wear. Though the terms pastor and priest are not entirely interchangeable, they are related, and both refer to Christian leaders. The difference between a pastor and a priest is probably best understood within the context of a particular Christian tradition.